So… the hike is done, we have now classed ourselves as experienced hikers and think we know all there is to know about hiking. 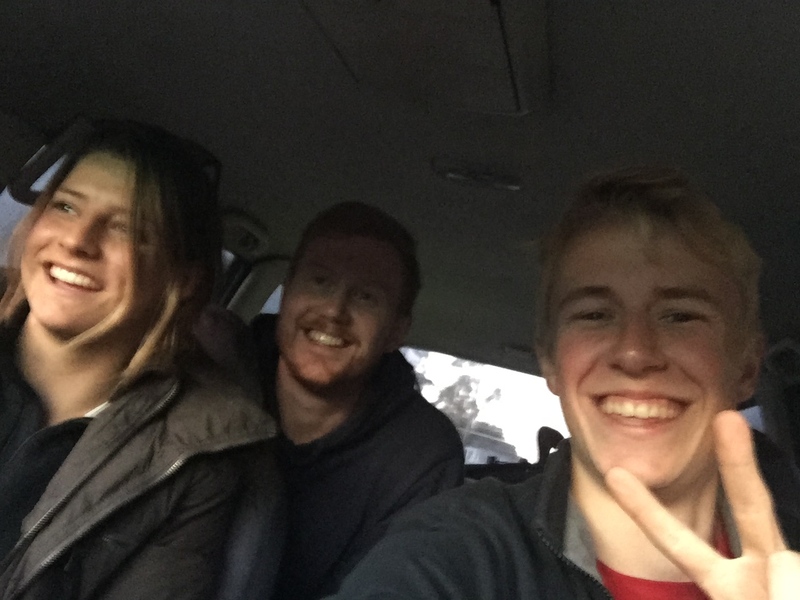 It’s about 2.30pm when we get back to the car…which normally wouldn’t be an issue… but we had promised a German hitchhiker we would be back at 2 o’clock to give him a lift into Christchurch. Mistakenly we only took a small amount of food on the walk and naturally were too hungry to deal with life on the drive back to Nelson, pulling over at a petrol station I went in to get us some sustenance and panic-purchased a steak and pepper pie and 600mL of milk… I regret nothing… but Keates wasn’t too happy with me. Full of pie we rolled back into Nelson and found our German hitchhiker huddled in the lounge room of the Shortbread Cottage. Hermann (the nickname Keates gave him) had been travelling and working in Australia for seven months and was finishing his trip with his cousin in New Zealand… we had a lot of fun with him. 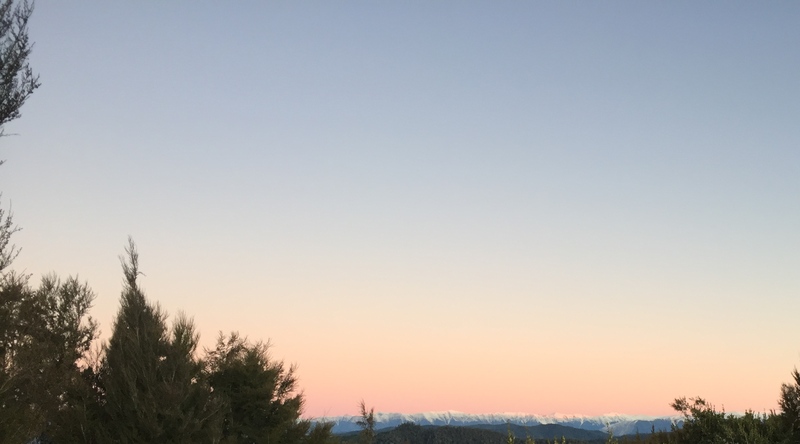 Because we are horrendous with our timing, we drove from dusk and into the night… though some may argue with me, I would say that this is a fairly ideal time to drive… especially in scenery as glorious as New Zealand. You get to see some pretty spectacular sunsets and if you are obsessed with photography (as I am), the lighting is ideal. There are also several points along the drive where we would stop to admire the stars. Being winter, the roads were practically clear and we could pull over along the ranges and just stair up at the bright lights in the sky. With our headlights lighting up snow-dusted trees we drove through the countryside, stopping for Keates to eat the most disappointing steak sandwich of his life. Arriving in Christchurch at the unreasonable hour of 11pm, it was lucky we had a place to go to, our next adventure… skiing and then off to the Great Southland.